The latest Australian Bureau of Statistics (ABS) statistics show that around 336,000 students have a disability, 41% of whom are special schools and separate units. However, while the growth of students with a disability is around the same as population growth, the number of segregated settings in schools is increasing higher. This, in part, is due to a belief held by many teachers in mainstream schools that improving the learning outcomes of children with a disability is outside the scope of their ability and training. However, these concerns are typically unfounded, according to some experts. 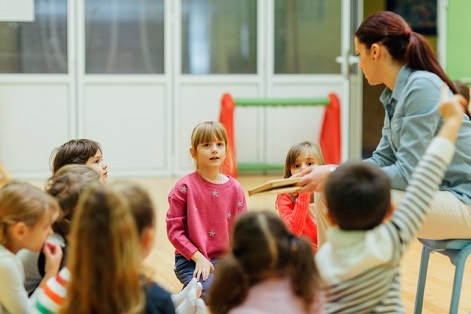 David Roy, lecturer in education at the University of Newcastle, says one of the key things that governments, communities and mainstream schools need to remember about effective teachers is that “they see the child, not the label”. “All children have learning needs to access the curriculum and show their strengths. The key for teachers is to have subject knowledge depth and communicate that effectively to all students,” Roy told The Educator. Roy said that if a teacher feels they need support to improve their practice, they should seek support and help with those who have knowledge and experience. “Just like children, we all are life-long learners and need to continually develop out knowledges and skills,” he said. For parents who are thinking of enrolling their children who have a disability into a mainstream school, Roy pointed to some of the common myths they should disregard. “Some key myths are that a disability is a barrier to mainstream education. The only barriers there are those that are created by the system,” Roy explained. Roy said that for a growing number of schools, disability is not an issue and that is the way it should be. “Your child’s has assets, not the deficit so many aspects of society view it as,” he said.